JCSat 17 is a japanese communication satellite of SKY Perfect JSAT Corporation to be operated in S-band and C- and Ku-band. The satellite was ordered in February 2016 from Lockheed martin. It will be built on the LM-2100 bus for a launch in 2019 and life time a well in excess of 15 years. 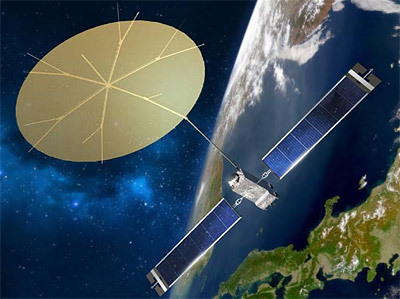 It will carry a S-band mobile communications payload including a flexible processor that will allow SJC to redirect capacity to concentrate on disaster relief efforts or other high-volume events. The 18 m unfurlable antenna will be built by Harris Corp. In addition, the satellite will carry C- and Ku-band capacity. JCSat 17 - 2019 Ko ELA-3 Ariane-5ECA with ?